Were you or a loved one disappointed when you did not wake up Christmas morning with a Tucker Carlson mug in your stocking? Unfortunately, this happened to several patriotic Americans this year, as the mugs were so popular that The Daily Caller Shop sold out toward the end of the year. If this applies to you, then I have good news! These mugs are back in stock. And to make up for the weeks when they were unavailable, we are EXTENDING the Christmas discount. For a limited time, you can still get these mugs for just $15. Furthermore, shipping is FREE. Ever since Tucker founded the Daily Caller in 2010, the site has been committed to fighting liberal bias in media. 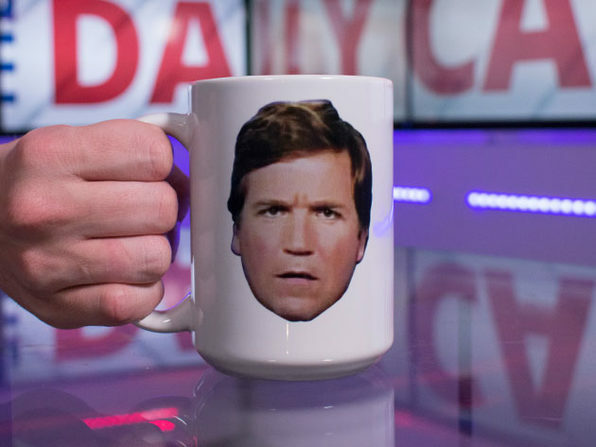 Now you too can contribute to that mission by getting your very own mug, emblazoned with Tucker’s face on one side and the Daily Caller logo on the other. It’s time to Get Tucked!